The 1.2 billion-member Catholic Church has allowed the death penalty in extreme cases for centuries, but the position began to change under Pope John Paul II, who died in 2005. The Vatican said it had changed its universal catechism, a summary of Church teaching, to reflect Pope Francis’ total opposition to capital punishment. According to the new entry in the catechism, “the death penalty is inadmissible because it is an attack on the inviolability and dignity of the person”, it said, citing an address by Pope Francis. The Church was working “with determination” for the abolition of the death penalty worldwide, the new teaching said. The new provision is expected to run into stiff opposition from Catholics in the United States and other countries where capital punishment is legal and where many believers support it. Last year 53 countries carried out death sentences, according to the rights group Amnesty International. Recourse to the death penalty, following a fair trial, had long been “an appropriate response to the gravity of certain crimes and an acceptable, albeit extreme, means of safeguarding the common good,” it said. But it went on: “Today, however, there is an increasing awareness that the dignity of the person is not lost even after the commission of very serious crimes. “In addition, a new understanding has emerged of the significance of penal sanctions imposed by the state,” it added. “Lastly, more effective systems of detention have been developed, which ensure the due protection of citizens but, at the same time, do not definitively deprive the guilty of the possibility of redemption,” it said. 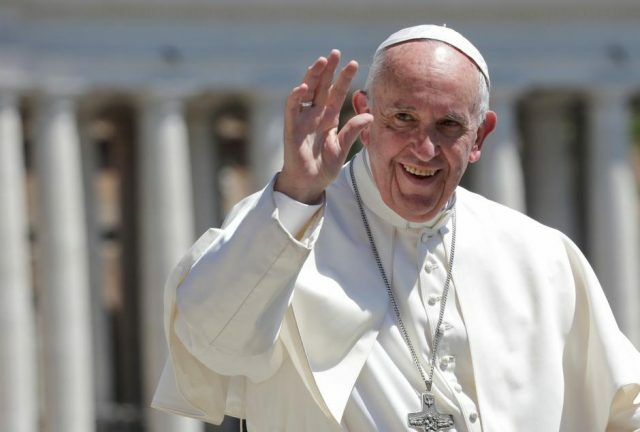 Since his election in 2013, Francis has several times called for a worldwide ban on capital punishment, and has urged the Church’s new position to be better reflected in its universal catechism. In a letter to bishops the prefect of the Congregation for the Doctrine of the Faith, Cardinal Luis Ladaria, said the change was aimed at encouraging “the creation of conditions that allow for the elimination of the death penalty where it is still in effect”.